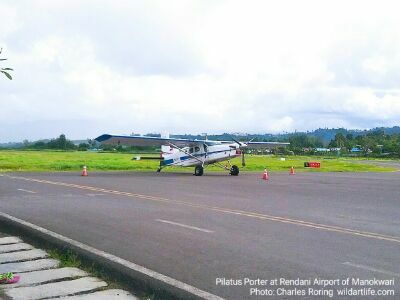 This is the photograph of Pilatus Porter aircraft that I saw at Rendani airport of Manokwari. The aircraft is operated by AMA (Associated Mission Aviation) for transporting people and goods between cities in the coastal region and villages in remote areas of West Papua. The aircraft plays important roles in supporting the activities of the church, villagers, and local government officials in the interior mountaineous region, and remote islands of Papua.